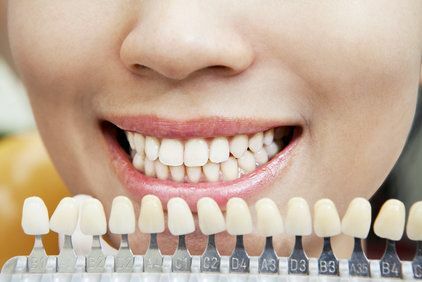 One of the most popular treatments at our Wappingers Falls practice, teeth whitening can transform the smiles of individuals with stained or dulled teeth. Patients can choose between in-office teeth whitening and take-home trays. In-office teeth whitening can often be completed in less than one hour and can whiten teeth by up to 10 shades. To achieve these dramatic results, a peroxide-based gel is applied to the teeth. Then a special light is shone on the gel in order to release oxygen molecules that permeate through the enamel and whiten teeth from within. Take-home teeth whitening trays enable patients to whiten their teeth in the comfort of their own homes. 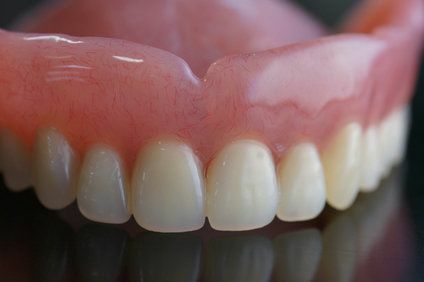 To complete this procedure, the patient applies a concentrated whitening gel to custom-made trays that are worn each night while he or she sleeps. Full results can be achieved in as few as one to two weeks, and touch-ups can be applied whenever necessary. Teeth whitening at our practice is safe, painless, and convenient. 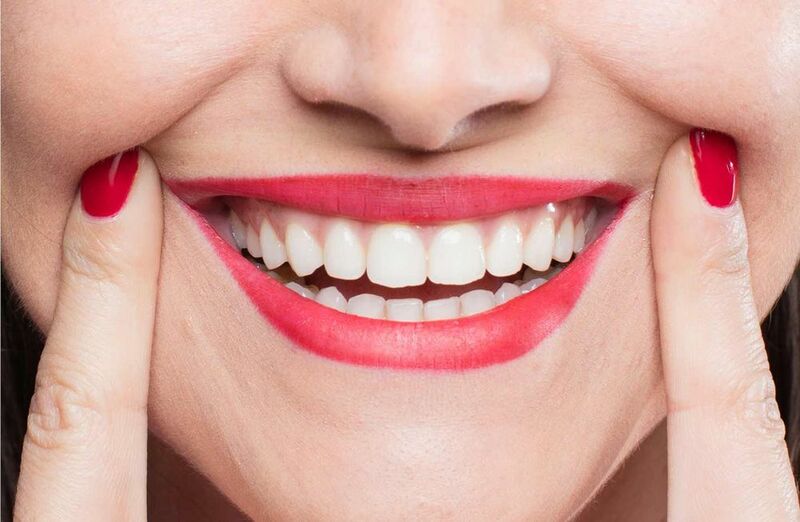 To learn more about in-office and take-home teeth whitening treatments, please contact Quality Dental Care, serving Poughkeepsie, Hopewell Junction, and the entire Hudson Valley. In addition to dental bridges, our practice offers dental implants for individuals who have lost teeth due to injury or disease. 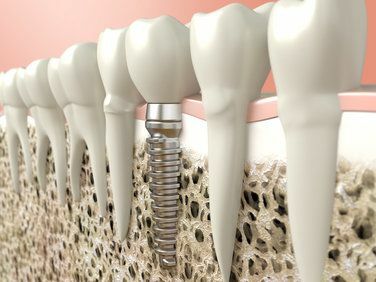 Each dental implant consists of a sturdy titanium post that is surgically embedded into the patient’s jaw and a replacement tooth that is attached to the post. Dental implants are durable and natural-looking, and enable patients to chew and smile with confidence once again. Dental crowns are an effective treatment option for individuals with chipped, cracked, or otherwise badly damaged teeth. Several different types of crowns are available, including metal, porcelain, and all-ceramic crowns. 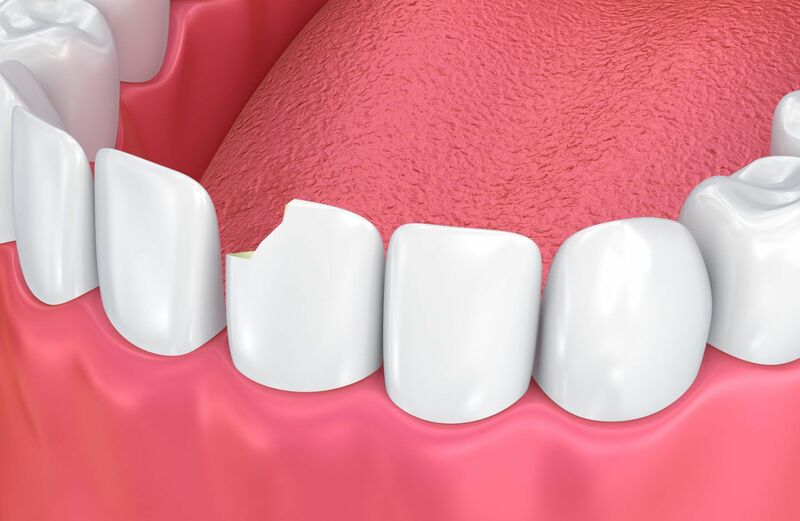 The type of material used depends on where the damaged tooth is located in the mouth. 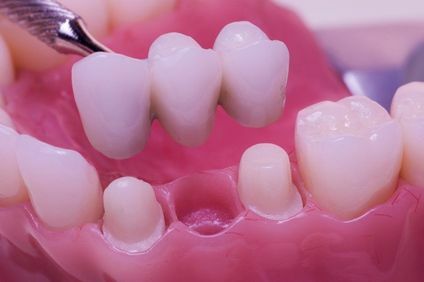 Natural-looking ceramic dental crowns are ideal for front teeth, while metallic dental crowns are often used on back teeth to provide greater support and durability for chewing. Dental crowns can be placed in just two office visits. 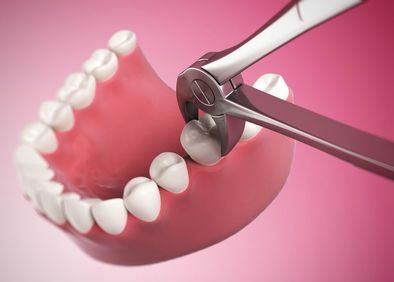 First, the damaged teeth are prepared for treatment through the removal of a small portion of enamel in order to accommodate the dental crowns. 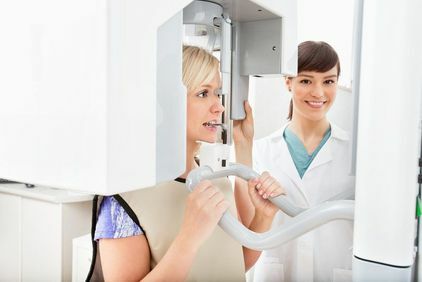 The dentist then makes impressions that will be used to create permanent crowns. Temporary crowns are worn while the permanent crowns are being custom-crafted. During the second office visit, the temporary crowns are replaced with the permanent crowns, and the procedure is complete. 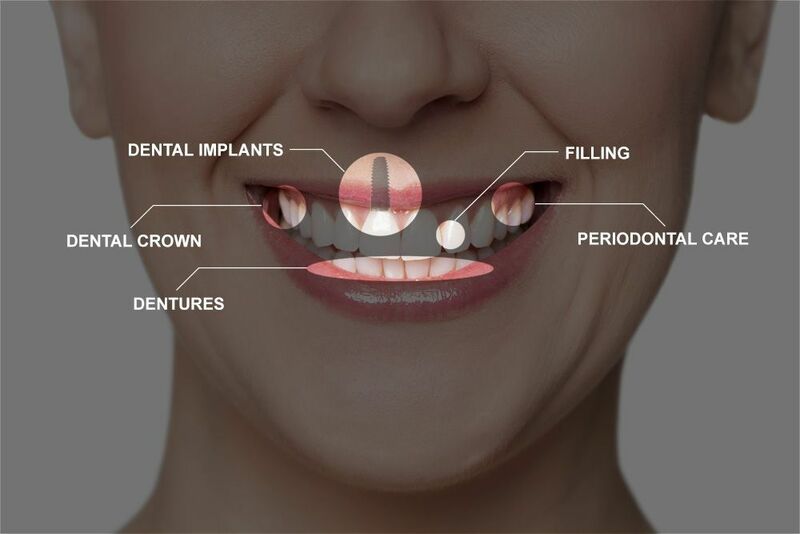 Dental crowns are often used to anchor dental bridges, dental implants, and other treatments. To learn more about this treatment, schedule a dental crowns consultation at our practice serving Wappingers Falls, Poughkeepsie, Hopewell Junction, and nearby areas. Dental bridges are a highly effective solution for patients with missing teeth. Each replacement tooth is attached to one or two dental crowns, depending on where the missing tooth is located in the mouth. 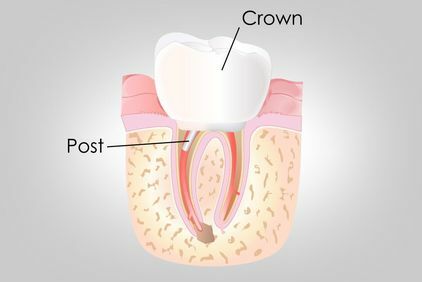 The dental crowns are attached to the neighboring teeth to provide extra strength and support. Our practice offers a wide variety of treatments, from teeth whitening and dental crowns to TMJ treatment and full and partial dentures. Patients can choose from traditional, immediate, or natural-looking cosmetic dentures. Root canal therapy, dental implant placement, and other procedures at our practice require oral surgery to complete. These procedures are performed in our offices. Root canal therapy is performed to treat individuals with advanced tooth decay. 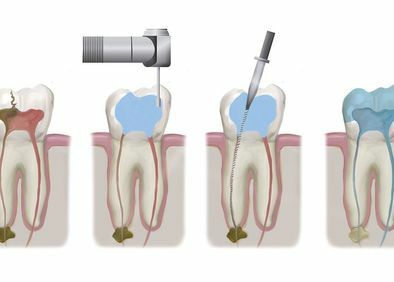 Through this treatment, our dentists can remove the damaged tissue within the inner chamber of the tooth. Fillings or dental crowns are used to repair the tooth once the diseased tissue has been cleared away. 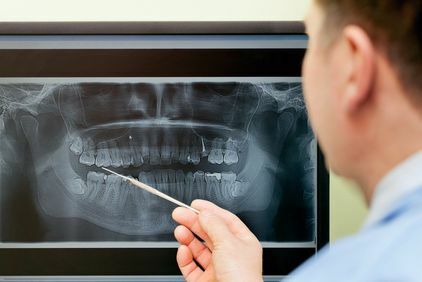 Tooth extraction may be necessary to remove wisdom teeth or those that are seriously damaged or diseased. Our skilled, caring team will use gentle methods during your tooth extraction, to help ensure comfort. We offer several treatments to replace teeth that have been removed, including dental implants and bridges. We offer comprehensive preventive and diagnostic care for patients of all ages. These services include dental cleanings, fluoride treatments, periodontal care, x-rays, oral cancer exams, and video diagnostic screening. These treatments can help keep patients' teeth and gums strong and healthy. For patients seeking an alternative to traditional metal braces, we offer Invisalign®. These clear plastic aligners are safe and comfortable, and subtly move your teeth into position as you wear them. The trays are custom-designed, and can be removed when eating, and while brushing and flossing your teeth. Patients looking for a more affordable alternative to porcelain veneers can improve their smile with dental bonding. If you're unhappy with the appearance of your smile we are able to combine multiple cosmetic procedures in a for a customized smile makeover. Patients with significant oral health issues can restore their smile with a full mouth reconstruction. This fully customized procedure can address even the most complex needs.